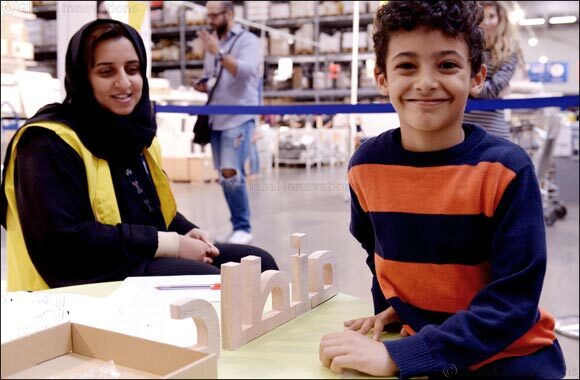 Dubai, UAE, January 10, 2018: During Arab Literacy Day on 8 January, IKEA, the much-loved Swedish home furnishing retailer, gave children the chance to ignite their passion and understanding for Arabic with its new in-store initiative. ‘Arabic Reassembled’ is a creative solution for children to learn and create 12 Arabic words that are used daily, using the all-familiar IKEA instruction manual. You can also participate in the event at Yas Mall from 11-13 January or at Dubai Festival City from 8-13 January.